Vegetable nutrition facts, given the time and age we are living in, are now a must-have and a must-know. Along with fruit nutrition, fast food nutrition facts and soda nutrition facts, just to name a few others. We are in a generation where cases of obesity, more so childhood obesity, are fast on the rise. One of the main causes of obesity which we can change immediately are dietary. What the majority of people put in their mouths are highly refined and processed foods or energy-dense foods or snacks which are not satiating. Most of us growing up, have been told either by our parents or teachers at school that "vegetables are good for you." However, in most cases the information was not complete, in that we were not told why vegetables are good for us. 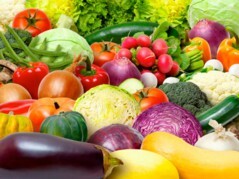 What is in vegetables that's not in meat, eggs, rice, crisps, candy or chocolate for instance that is important for us? Or if we were given comprehensive information, most of us did not really let it sink in our minds such that we all just vaguely have an idea as to why we need to eat vegetables. Did you know that vegetables not only prevent malnutrition, deficiencies of Vitamin A and C but also help in maintaining optimum health? According to a research study confirming vegetable nutrition facts discussed here, it was found that a higher intake of fruits and vegetables seemed to increase the ventilation function of the lungs in asthmatic children. Spinach and broccoli are very good sources of folate which helps to prevent birth defects such as spinia bifida. So there we are expecting mommies, you can include these vegetables in your pregnancy diet. So we see the importance of vegetable nutrition to our bodies and in eating healthy. 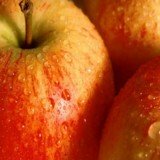 Studies on vegetable nutrition facts have found that people who eat more generous amounts of fruits and vegetables as part of a healthy diet are likely to have reduced risk of chronic diseases, including strokes, type 2 diabetes,some types of cancer, and perhaps heart disease and high blood pressure. A fact about vegetables is that they are packed with loads of invaluable minerals and vitamins, such as folic acid, magnesium, sodium, dietary fiber, protein, vitamins A and C, calcium, iron, and so on. Our bodies need these on a daily basis. All vegetables are naturally cholesterol and saturated fat-free. In the food pyramid, vegetables and fruits are in the same group of foods. It is recommended that we have at least three to five servings of vegetables in a day. A serving size is usually half a cup of cooked or one cup of raw vegetables. A cup may be 12 baby carrots, or one large sweet potato. It is a known fact that children do not like to eat vegetables but we can help them to acquire the taste. You can disguise them in soups for instance or in casseroles, homemade pizzas, etc. You can also get them excited about vegetables by having your own greens garden in your backyard and ask them to help you maintain it. That way, they will be curious to taste what they would have assisted in bringing about. Or if there isn't enough space in your backyard and you're not too keen on doing some vegetable gardening, you can take them to a near-by farm and let them see where vegetables come from. You are guaranteed to see a positive and welcomed change in interest. Vegetable nutrition facts of raw and fresh vegetables are interesting. The appearance and texture of vegetables will be a tell-tale sign for you as to whether they are fresh or not. High-quality fresh vegetables look crisp, young and brightly colored. When they are picked and left for long without proper storage, not only do they lose their freshness but precious nutrients too. There will not be much of a point to cook or eat vegetables that would have wilted and lost their value in nutrients. So it's important that vegetables are kept fresh in order to get as much as possible out of them. Fresh vegetables need to be stored for as short a time as possible to prevent loss of nutrients, flavor, and texture. They lose quality rapidly. For instance, did you know that peas and corn begin to lose their sweetness as soon as they are picked? All vegetables should be washed under clean running water, without soap! Raw vegetable nutrition facts gathered through dietary studies point to the fact that they can be eaten as snacks, in between meals or as part of the meal itself. Carrots, cucumbers, lettuce, tomatoes amongst others are examples of such. Carrots and leaf lettuce are rich in vitamin A as well as other nutrients. In this day and age, organic vegetables are now the more preferred. More and more people are going into growing their own vegetables in order to get the most in terms of nutrition and freshness out of them. Some others prefer going to the local farmers' market to get the best deals. For more detail on this, you may read vegetable nutrition. Vegetable nutrition facts to do with cooked vegetables point to the fact that in preparing vegetables when cooking them particularly steaming, you need to ensure that you cook them in as little water as possible. This is because most minerals and vitamins dissolve in water. Pre-soaking your vegetables before cooking them or cooking them in large amounts of water is not a good idea because this will lead to the loss of the nutrients. The other factors than can lead to nutrient loss include prolonged cooking, high temperatures, alkalis such as baking soda, oxygen and plant enzymes which are destroyed by heat. Some nutrient loss is inevitable but knowing how the above named factors work can help in reducing the loss. Some vegetables can also be sauteed, stir-fried, braised, baked or fried. The time in which this is done is important because you do not want to lose what you should gain from the vegetables. 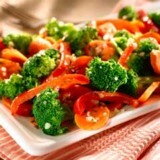 Cooking of vegetables should be stopped when they become crisp-tender and they are still firm. Anything further than this will not be good. Steaming is the most preferred method for cooking because steam cooks food rapidly, lessens the loss of nutrients and flavor, and does not break up delicate vegetables. Although for things like potatoes, you may bake them. Frozen vegetables are those that would have been previously precooked or blanched briefly, then cooled and put in the freezer in airtight storage. Vegetable nutrition facts show that they still have the same nutritional value. Although when it comes to taste, depending on how they would have been prepared when freezing them, fresh vegetables come out tops according to my taste buds! When cooking frozen vegetables do not thaw. You need to bear in mind that they were precooked so they need less water. Bring to boil the amount of water suggested on the package. 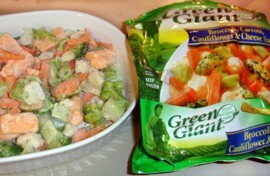 Add the frozen vegetables and follow the instructions on the packet. Vegetables are a high source of vitamins A and C, folic acid, iron, magnesium, sodium and dietary fiber amongst many other nutrients. Overcooking vegetables and not storing them properly leads to them losing their nutrients. Pre-soaking vegetables before you cook them, again, can lead to a lose of nutrients. This is because, generally, most minerals dissolve in water. Vegetables like spinach and broccoli are very high in folate, which is good especially in pregnant women as it prevents birth defects such as spinia bifida. High-quality fresh vegetables will look crisp, tender, firm and brightly colored. So this will help you in shopping when buying vegetables. Vegetable nutrition facts have shown that vegetables prevent deficiencies of Vitamin A and vitamin C and malnutrition. They also help maintain the good health of our bodies. The risk of having chronic diseases like type 2 diabetes, hypertension, heart disease amongst others can be reduced significantly by eating more vegetables and fruits. The ventilation function of the lungs in children who are asthmatic can be increased by a higher intake of vegetables and fruits. This is a well known and important part of vegetable nutrition facts. Asparagus is one vegetable that you want to add to your diet. Find out just why by reading this article. It covers raw, fresh, steamed, grilled, white and canned asparagus nutrition facts. Tomatoes are a popular vegetable in our day to day lives. But what is it that makes up this vegetable? Find out more in this article. It covers Tomato Nutrition Facts and Weight Loss, Cancer, Grape Tomatoes, Canned, Green, Sliced, Sun Dried, Roma and Sweet Grape Tomatoes. Celery is a vegetable that is widely used in many weight loss diets. One of it's main health benefits is that it has nutrients, vitamins & minerals that are especially good for the heart. This articles covers raw celery nutrition facts, health benefits, cream of celery & celery juice nutrition facts. A carrot is one of the most popular vegetables. You may have it as a snack, in a salad, in soup, in a muffin, in a cake or as a vegetable side dish. Whichever you prefer, carrots, like sweet potatoes provide you with an overwhelming amount of Vitamin A. This article includes carrot nutrition facts raw, cooked, juice and more. Spinach is another vegetable that is nutritionally rich. It is an excellent source of many vitamins, minerals and nutrients. Find out which ones and what health benefits they have for your body. This article covers spinach nutrition facts raw, creamed, frozen, canned and more. Mushrooms have been referred to as the 'meat' of the vegetable kingdom. They have quite a few minerals, nutrients and vitamins that they are a good source of. This article includes cream of mushroom nutrition facts, raw, oyster, ravioli, Swiss burger and more. Broccoli is one of the vegetables that is rich in Vitamin C. However, depending on way of preparation, you may lose this and many other nutrients that are present in broccoli. This article covers broccoli nutrition facts, raw, steamed, cooked, cheese soup and rabe just to mention a few. Potatoes can be put into 'the most versatile' group of vegetables category. This is because there are so many ways in which this tuberous vegetable can be prepared. This article includes potato nutrition facts, raw, red, russet, chips, health benefits, croquettes and more.